Here’s another project where multiple products from our vendors came together with spectacular results. 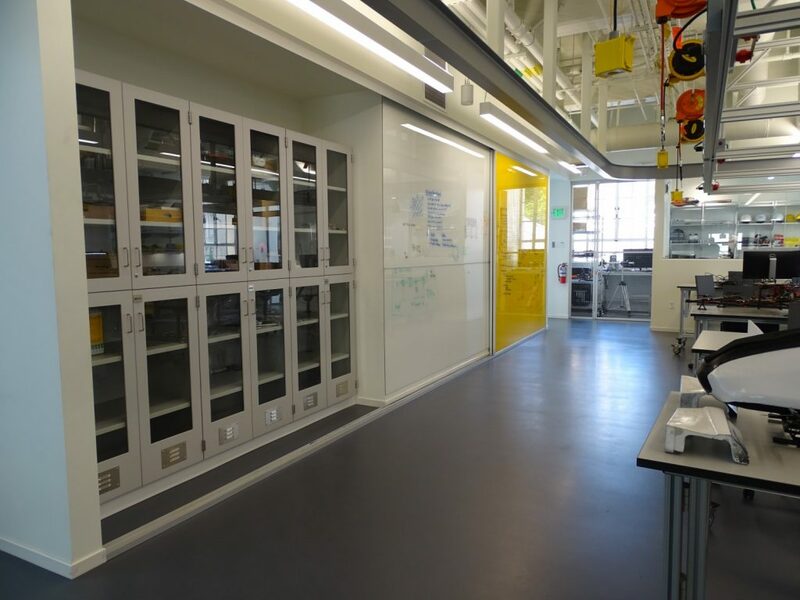 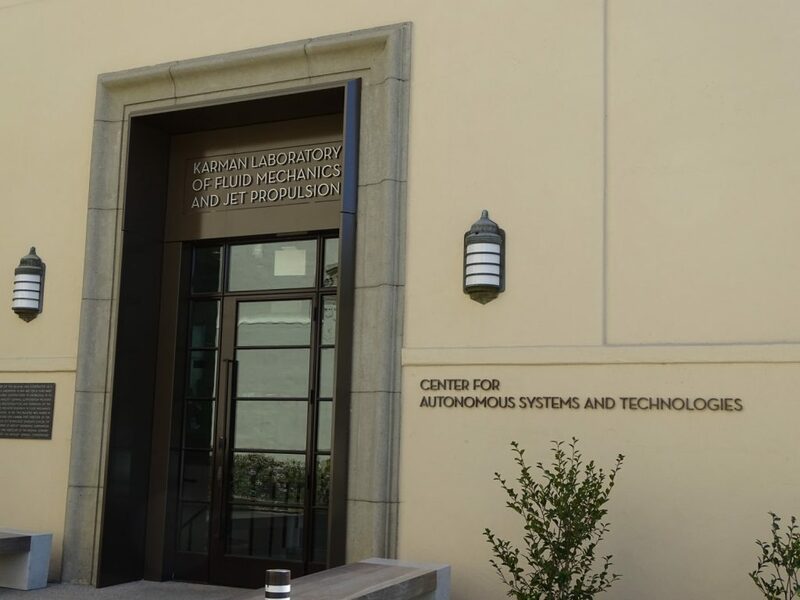 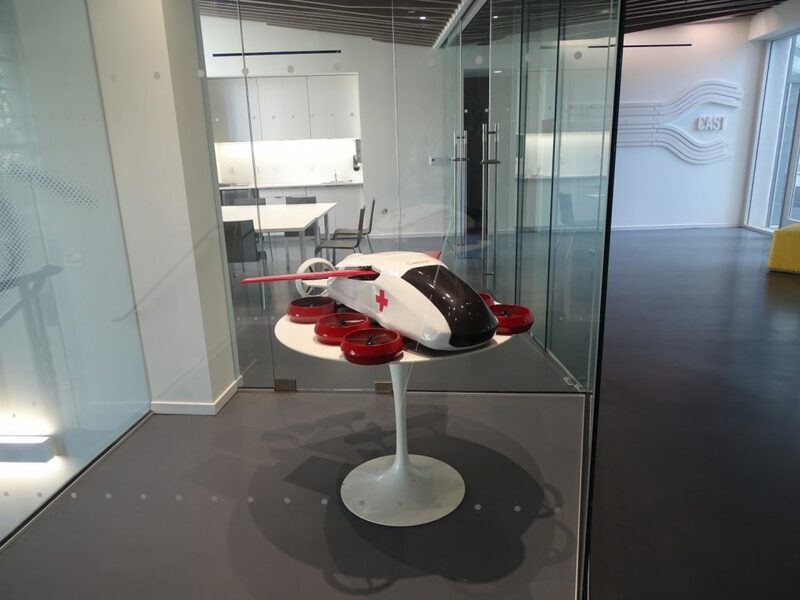 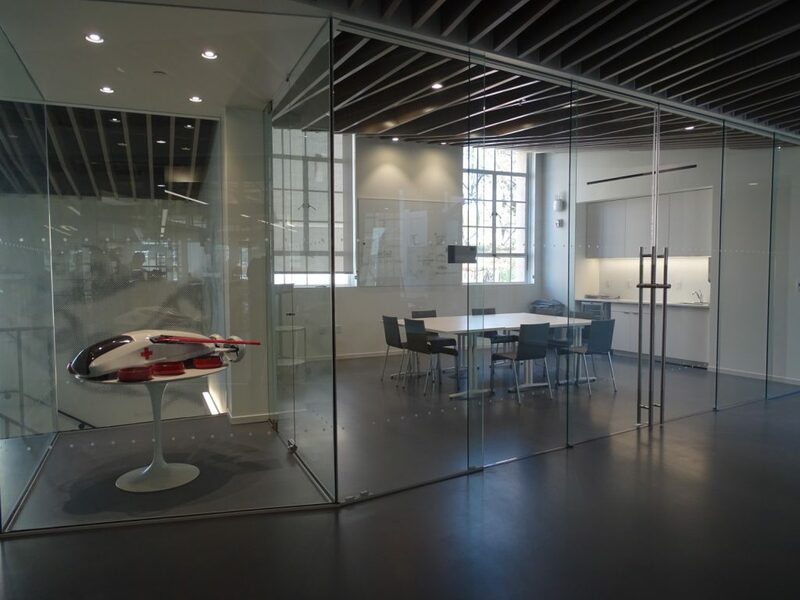 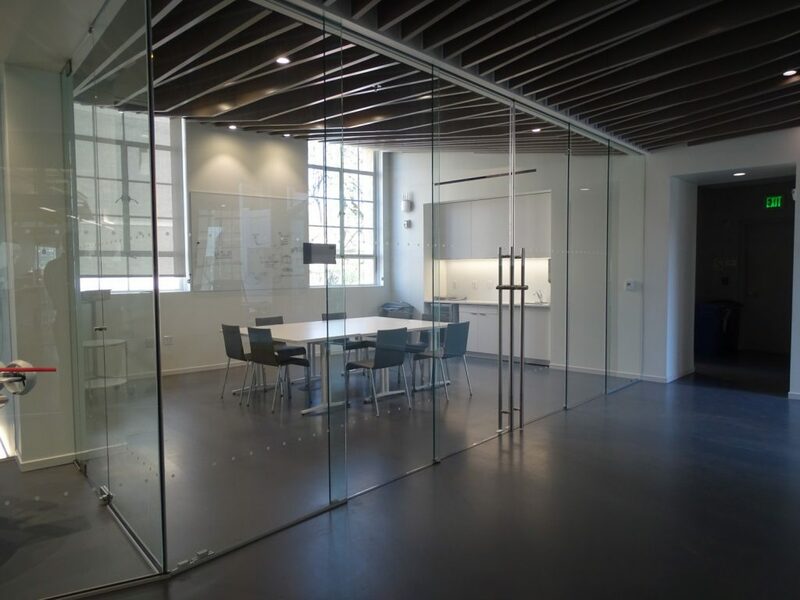 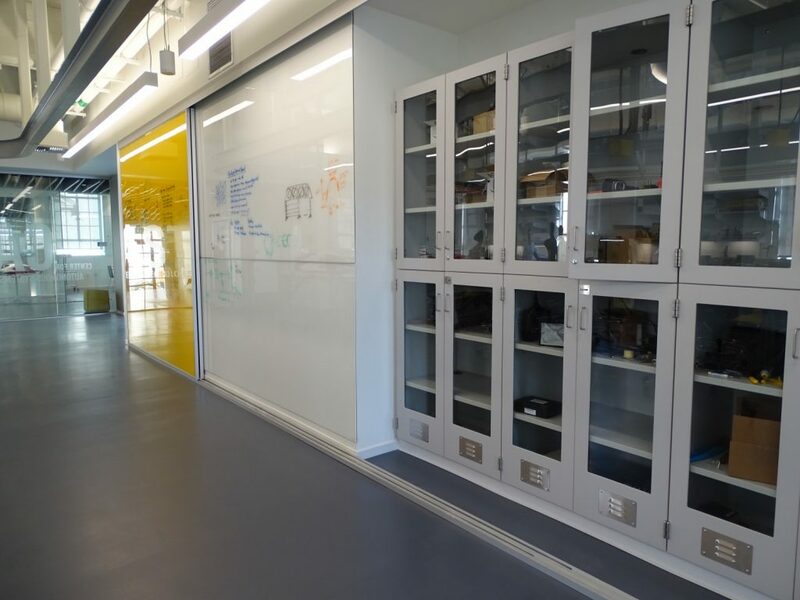 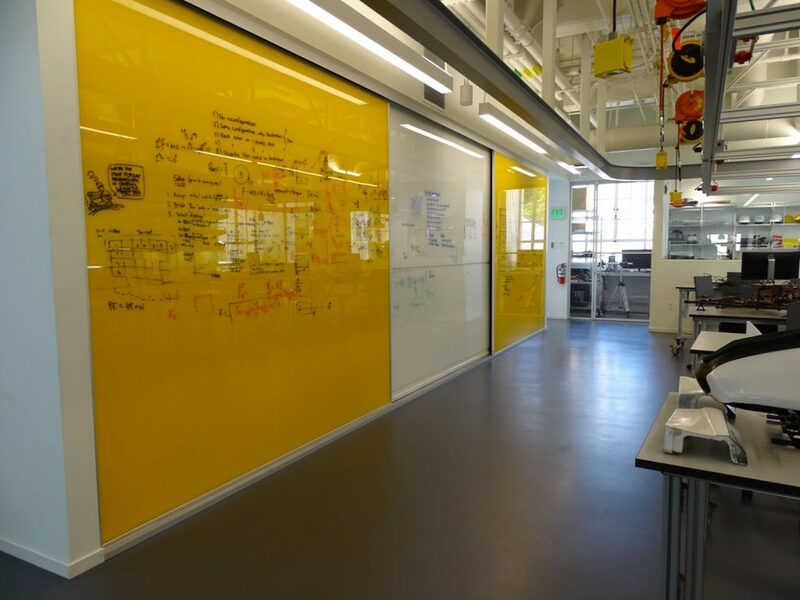 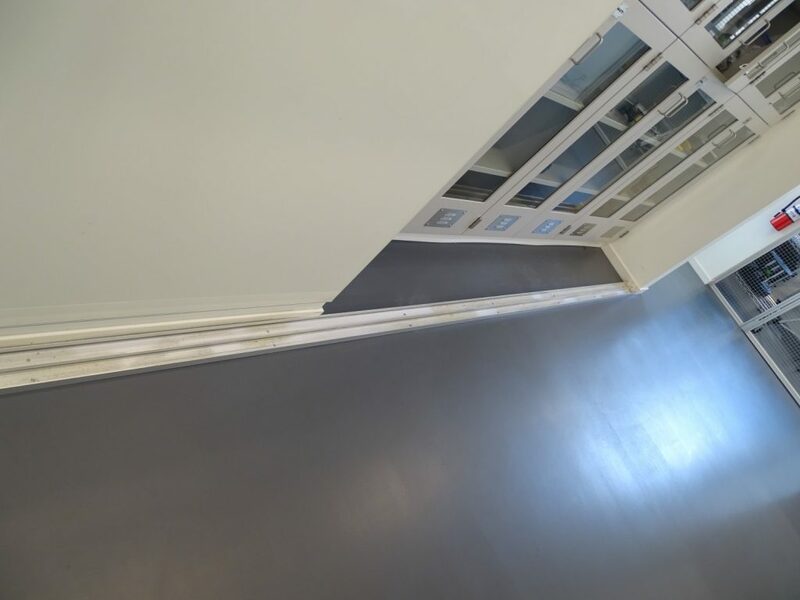 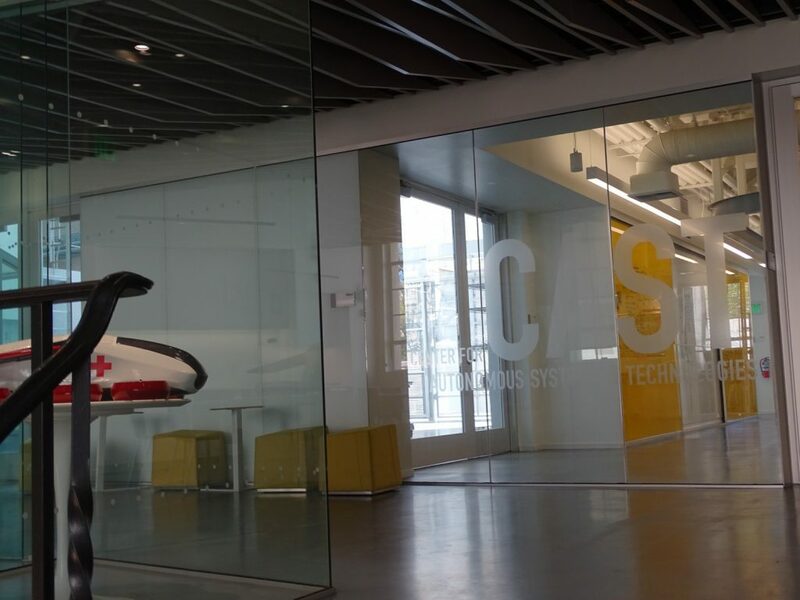 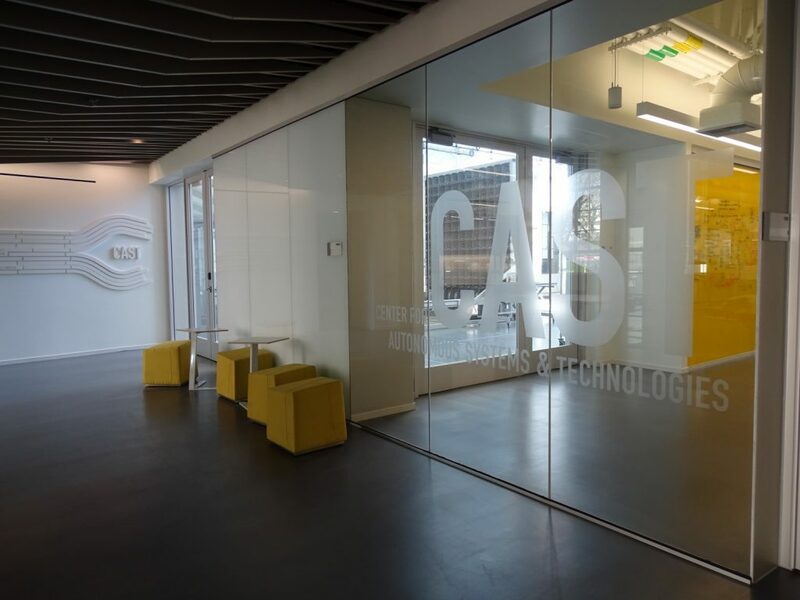 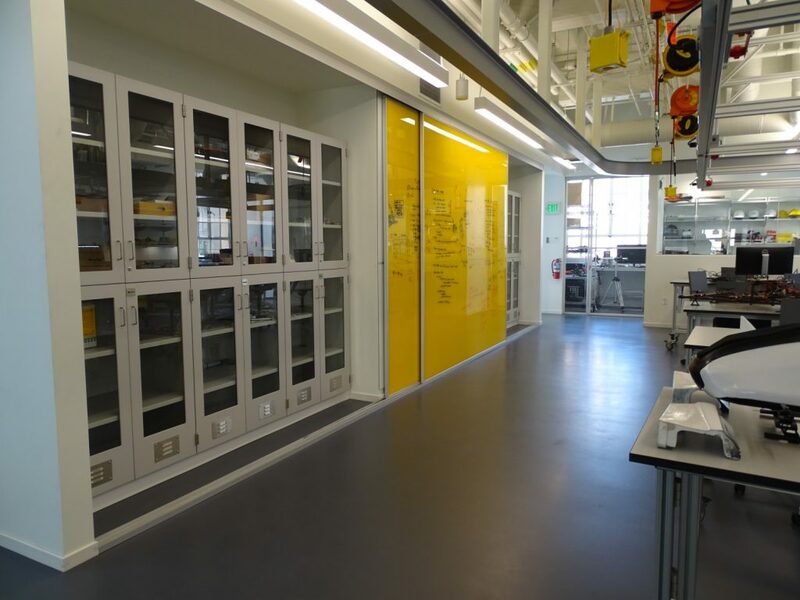 L2 Specialties can divide and beautify space like we did for Caltech’s new Center for Autonomous Systems Technolgy(CAST) Research Center. 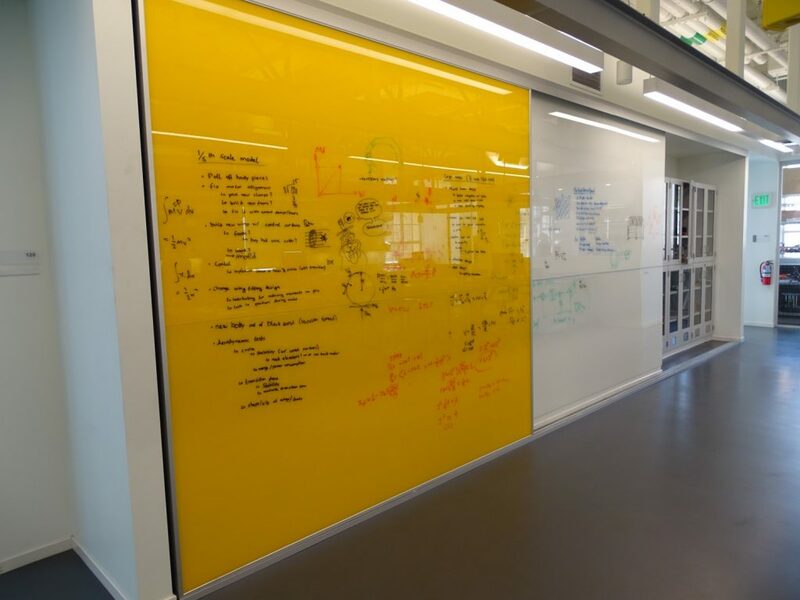 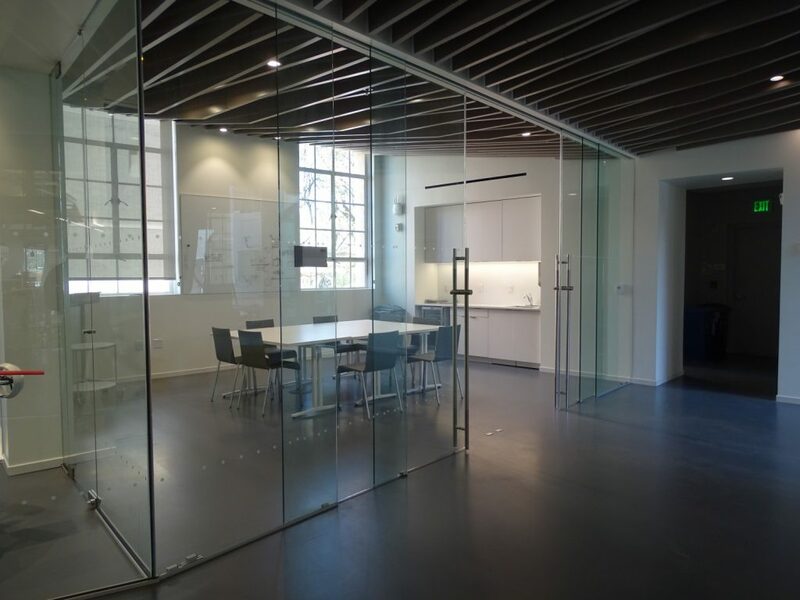 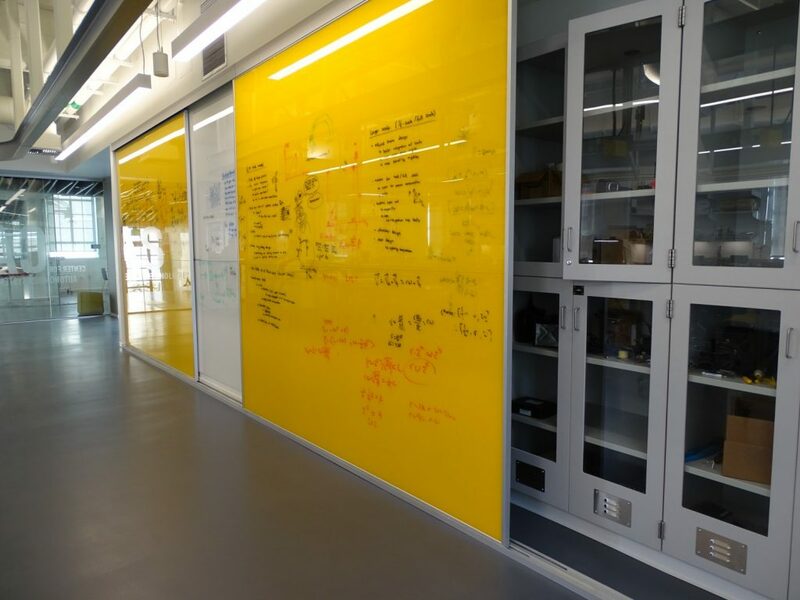 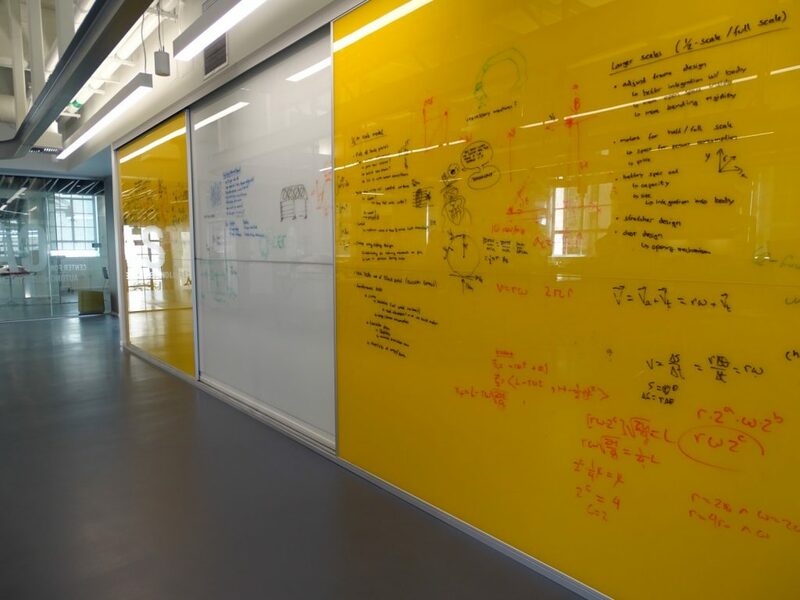 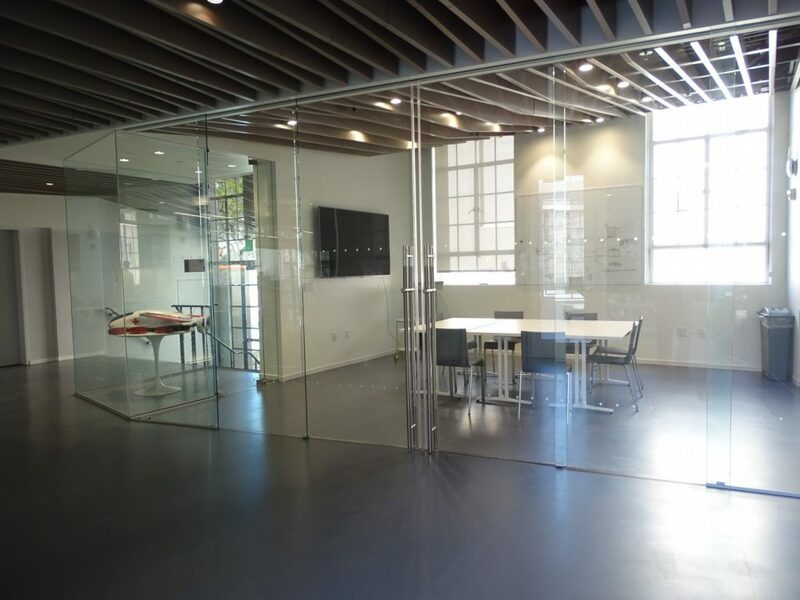 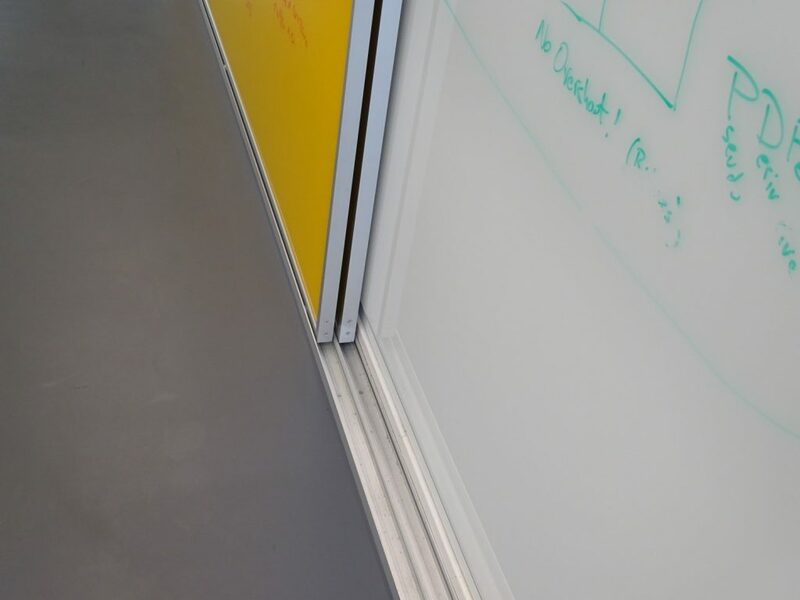 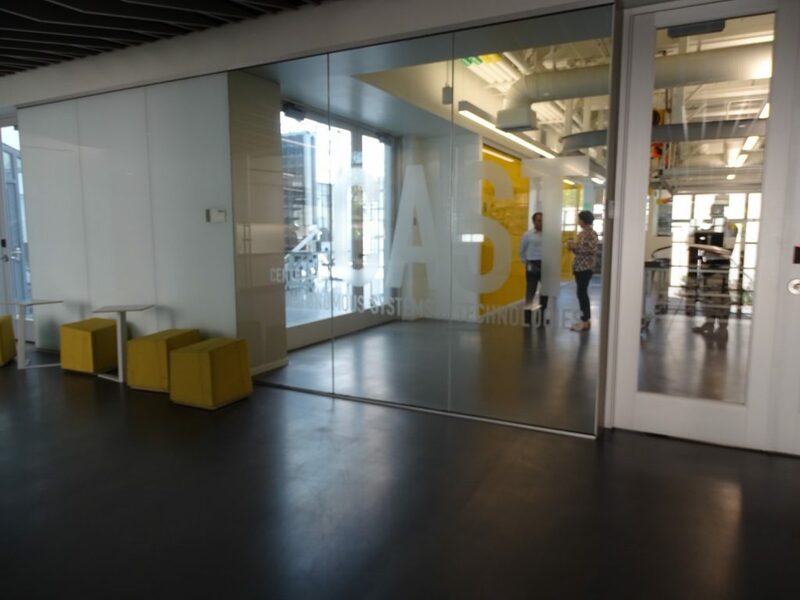 We utilized KLEIN-USA Extendo frameless sliding glass system and also contrasting 8′ high yellow and white sliding glass marker boards from Claridge. 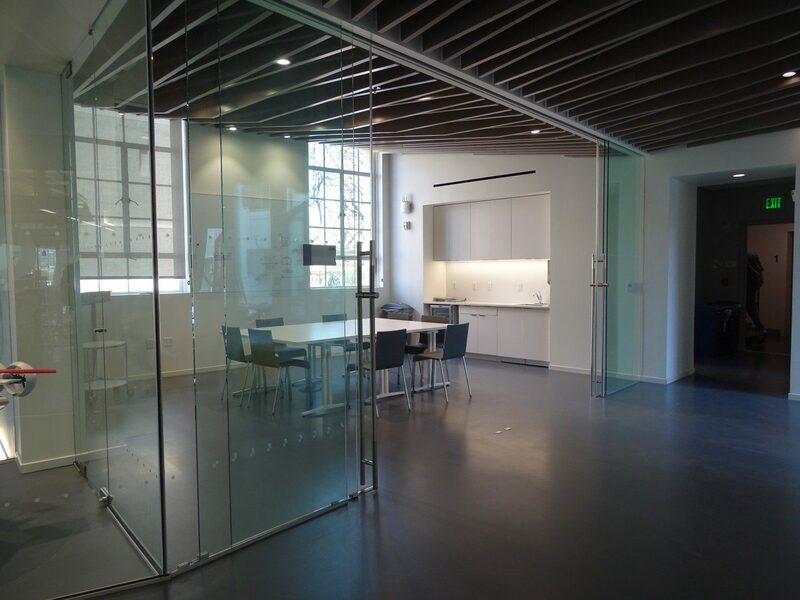 This project was designed by CO Architects and brought together by MATT Construction as GC.